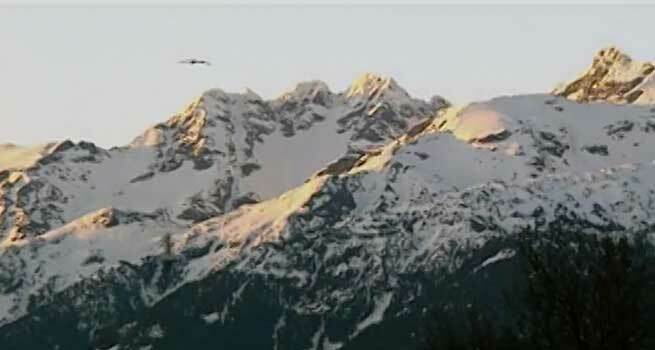 Your browser does not support the video player. You can view the transcript of the video below. 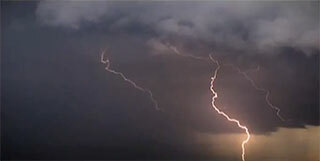 To view please upgrade your browser or download the video to your computer. 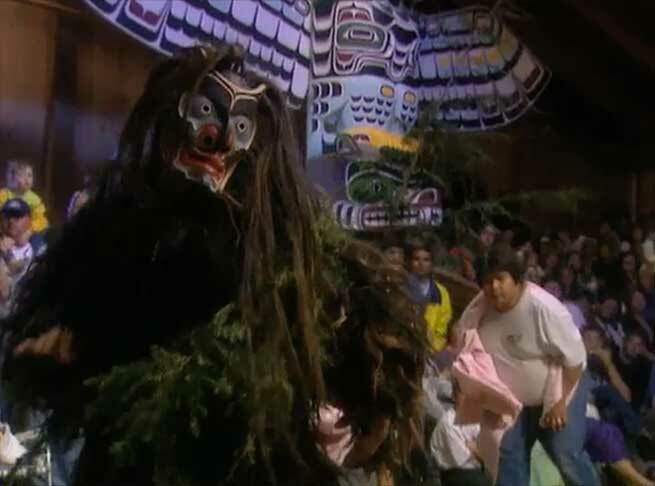 Four men unwrap a large pink blanket to reveal the performer from the woods hunched down low, and still dressed in the costume that covers his entire body in fur-like hair, moss and tree branches. 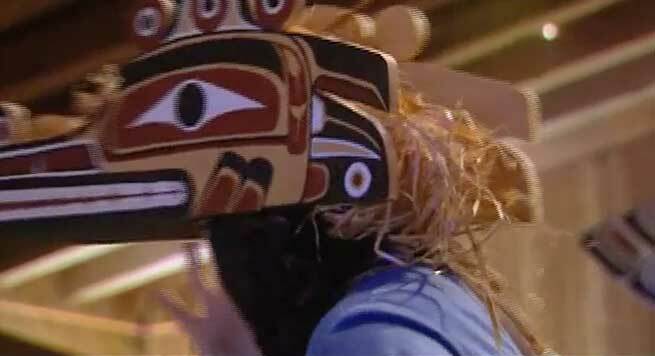 His face is covered in a ceremonial mask with long dark hair. The men encourage him and he slowly begins to straighten and stand as if lured by the drumbeat and the men’s encouragement. 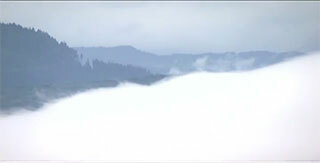 Keeping his masked face lowered, he moves slowly and deliberately as if taking in his surroundings. A man shakes a rattle to lure him forward. He touches the sand covered floor and inhales the scent, then looks around as if continuing to explore his new environment. 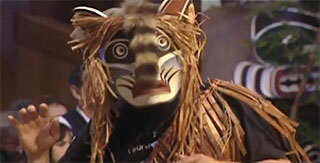 A shirtless man wears a decorated sarong and a headdress-style mask with an animal pelt attached. 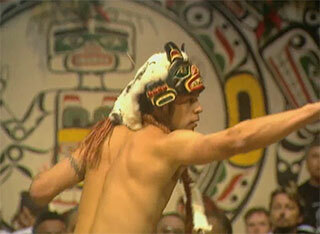 He moves around the performers circle, making slow deliberate squats. Another man follows behind him, shaking a rattle. 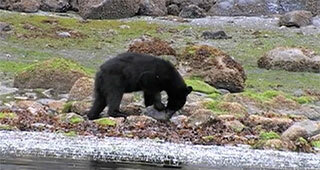 Film footage shows a small black bear along the shore foraging for food. 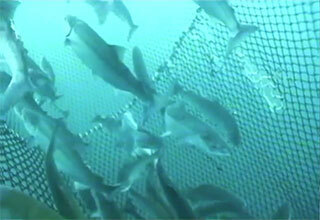 Small fish jump in the nearby water, catching its attention. Inside, the man begins to dance. 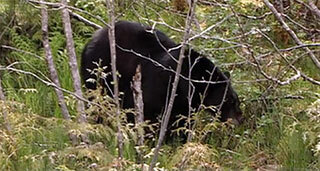 Film footage: A black bear wanders though the woods. 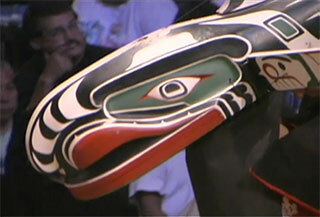 In the bighouse, a man wears a ceremonial mask carved to resemble a bear. Shirtless, he wears a black sarong and cape. 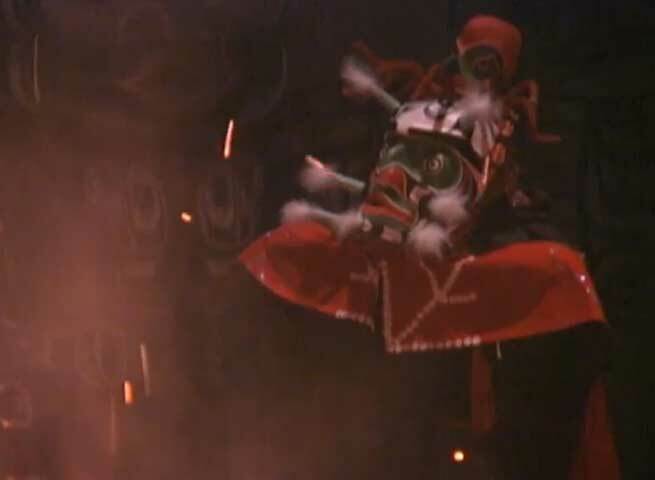 Fur is attached to the top of the mask and extends down his back as he dances for the group. 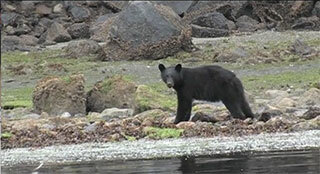 Outside, the bear forages along a shoreline, overturning rocks. Inside, the performer digs into the sand floor, mimicking the bear’s movements. 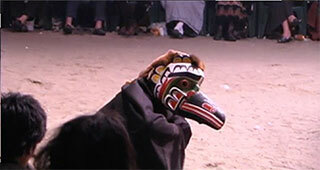 Now the performer is shielded by blankets, then emerges wearing a bird mask and hops along the ground. 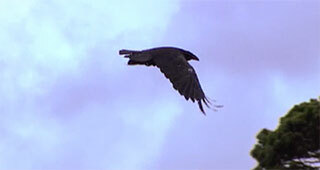 Outside a raven flies across the sky. 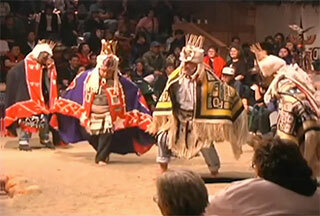 Drummers use thick wooden sticks and keep the beat on a long, bark-less log laid along the floor. 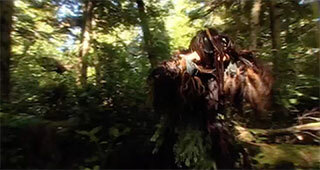 In nature, a man wears another mask, his body is covered in moss, branches and hair; he dances among the trees. Another performance begins. 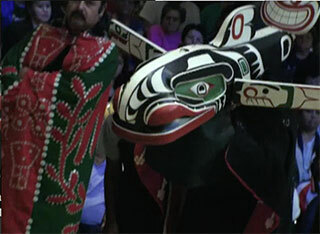 The dancer wears a large hat-style carving in the shape of a whale, painted in black, white, red and green. 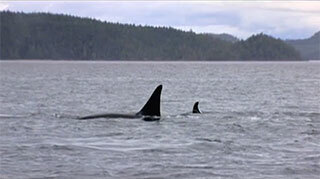 Film footage: killer whales swim in the ocean, their dorsal fins above the water line. Water spurts through their blowholes, then they submerge; only their flukes protrude above the water. They move gracefully through the water, submerging and re-emerging as they play… Inside the dancer moves as if he is a whale in the water. 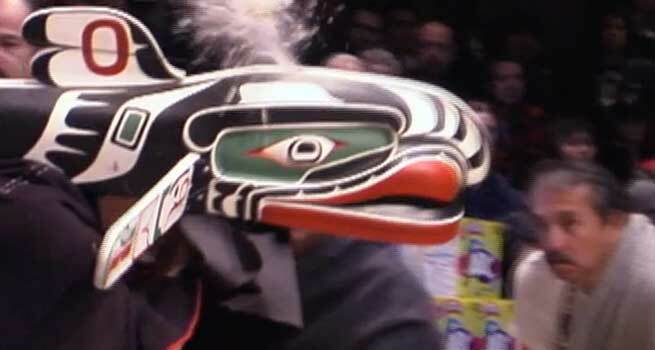 Eagle down spews out of a hole in the mask, simulating water through the blowhole. 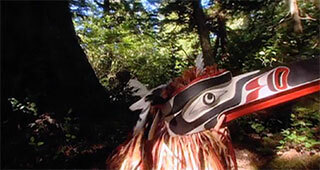 In a forested area a First Nations man wears a large and elaborate ceremonial mask. 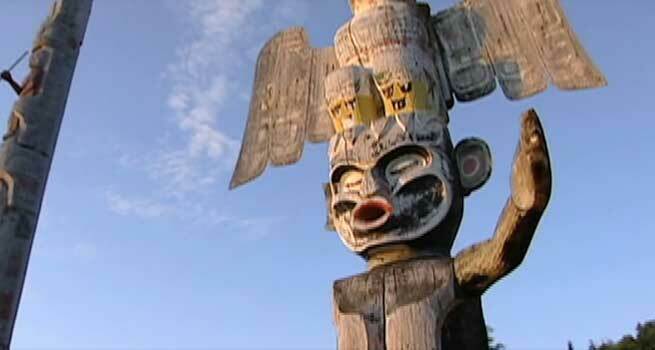 It’s carved from wood into a bird’s head with a long beak, and painted black, white and deep red. Straw and feathers create the illusion of plumage. 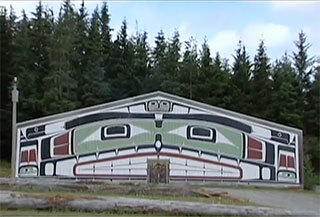 Now inside the high-ceiling, wood frame ‘bighouse’, a First Nations group is gathered. 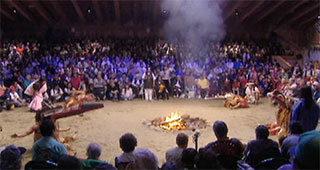 In the center of a circle four men sit around a roaring fire, each with an elaborate ceremonial animal mask. They rise and march around the fire moving as if inhabiting the animal totem itself. The mouths of the masks open and shut. 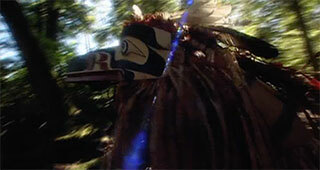 Now back in nature, the man in the bird mask moves through the woods. 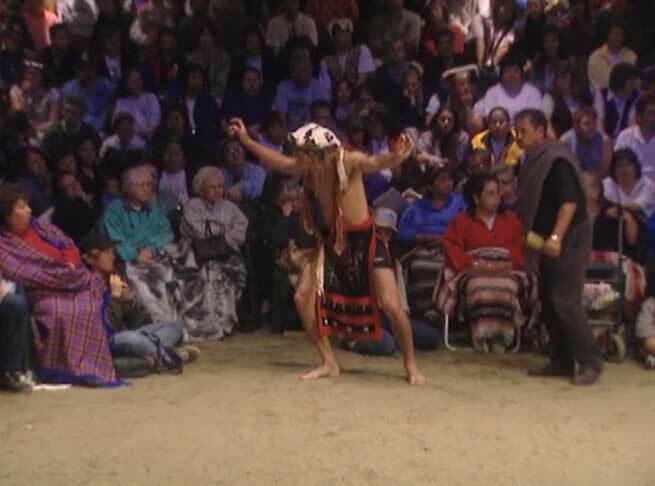 In the bighouse, three shirtless men wear ceremonial dress: knee length skirts with adorned shins, and capes resembling embroidered blankets - cream colored with designs and long tasseled edges. 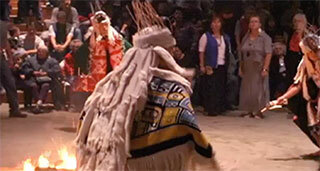 Each wears a fabric headdress and shakes a rattle as they dance around the fire. Another performer approaches slowly, wrapped in a cape and wearing a full-face mask with hair. 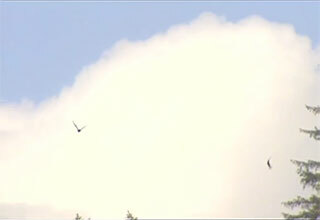 Shown in slow motion the man turns around and the mask is now folded open to reveal another masks behind it. 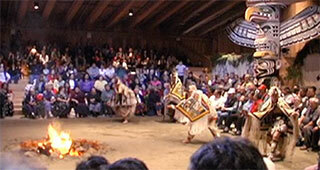 Men in ceremonial dress have joined the others around the fire to dance. The bighouse is dark; the fire roars in the center of the room. 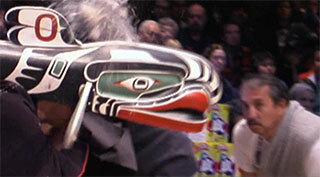 Performers wear intimidating masks in a variety of shapes and sizes, many adored with feathers, hair or fur. 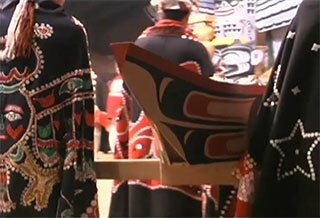 The performers wear capes in blacks and deep reds, decorated with buttons, beads and embroidery. 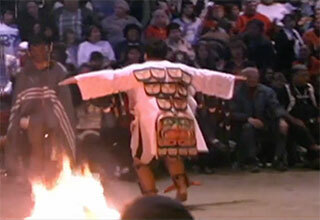 Shown in slow motion, they worship the fire and move as if inhabiting the animal totems they wear. 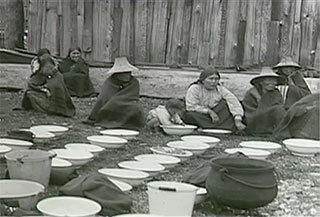 Women wear carved wooden hat-like masks; flat with animal faces on the side and filled with straw like a barge. Over top of their clothing, their torsos are wrapped in red fabric. 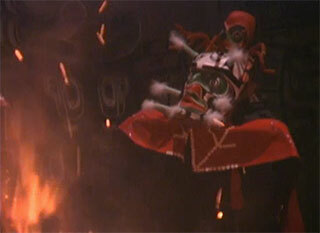 A man follows behind each woman, unraveling the red fabric as they dance around the fire. 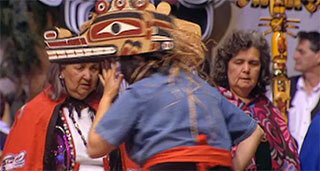 Four elder women stand in witness, wearing red capes; two wear headdresses. NARRATOR: In the beginning, our people emerged from mystical and supernatural places. 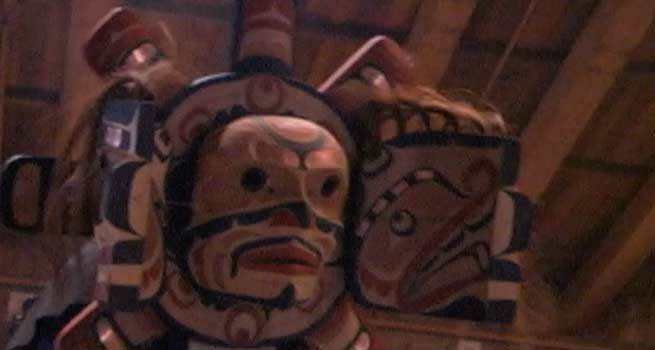 My people, the Kwakwaka'wakw, had been guided by our ancestors. 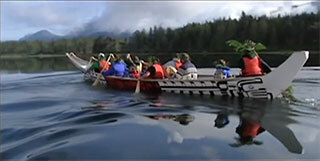 Our stories of origin are based on our first ancestors. 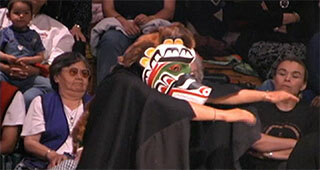 Ceremonial masks tell of our beginning and share our identity and where we come from. NARRATOR: When one's heart is glad, he gives away gifts. 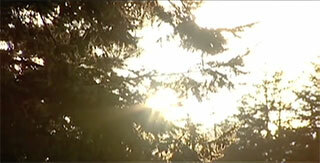 It was given to us by our creator, our way of doing things, of who we are. 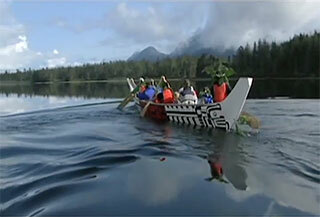 The Potlatch was given to us as a way of expressing joy. Everyone on Earth is given something. This was given to us. NARRATOR: We acknowledge every aspect of our lives through ritual and ceremony. We have a continuous connection to everything. We express our connections in many different ways, giving thanks, feasting and gift giving. NARRATOR: Today, most Potlatches are held as memorials for loved ones. 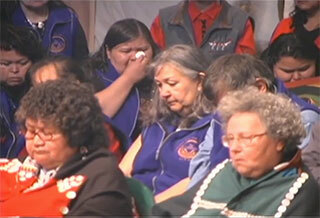 Mourning songs are sung to shake off the sadness, wipe away tears, and set the spirit free. NARRATOR: When you enter the Big House, everything changes. 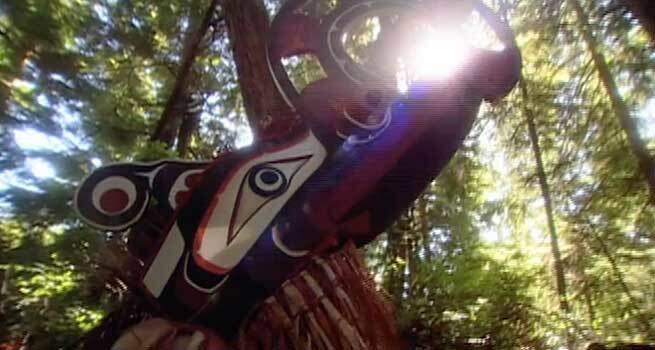 In the winter months, we connect with our ancestral spirits and share in our Potlatch.A Chief and his family host the sacred ceremonies, passing on the dances, names and songs from their box of treasures. 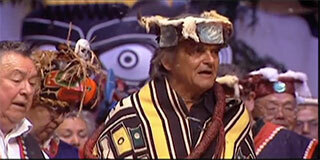 This ceremony is based on honour and respect. 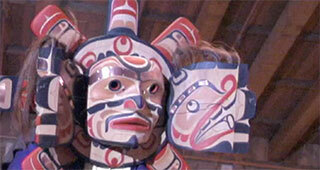 Today we have two parts to the Potlatch. 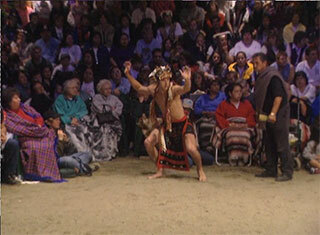 In the T´seka Ceremony, you enter the floor counterclockwise, which represents entering the spirit world. NARRATOR: Feasting is an important part of the ceremonies. 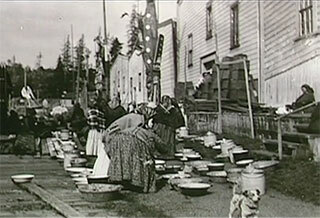 Guests are fed the rich resources of the sea, salmon, clams, crabs and halibut. 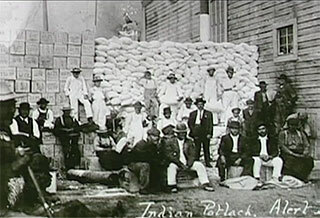 The giving away of one's wealth was essential to our Potlatch. 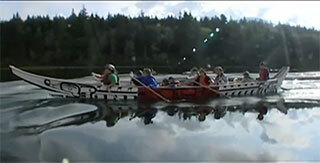 Tli'nagila is a very important ceremony that has continued for many generations. 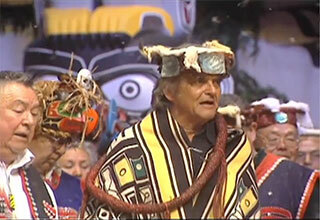 The giving of eulachon oil we call tli'nagila is the highest honour a Chief can bestow on his guests. 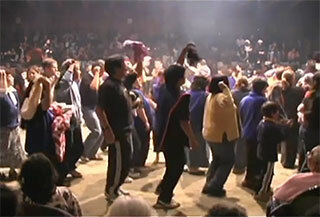 NARRATOR: The second part of the Potlatch is the Tla'sala or Peace Dances. After each Peace Dance, a gift comes in the front door. NARRATOR: Today we continue to celebrate who we are. There is strength in our culture. We are a living culture. © U'mista Cultural Society 2019. All rights reserved.